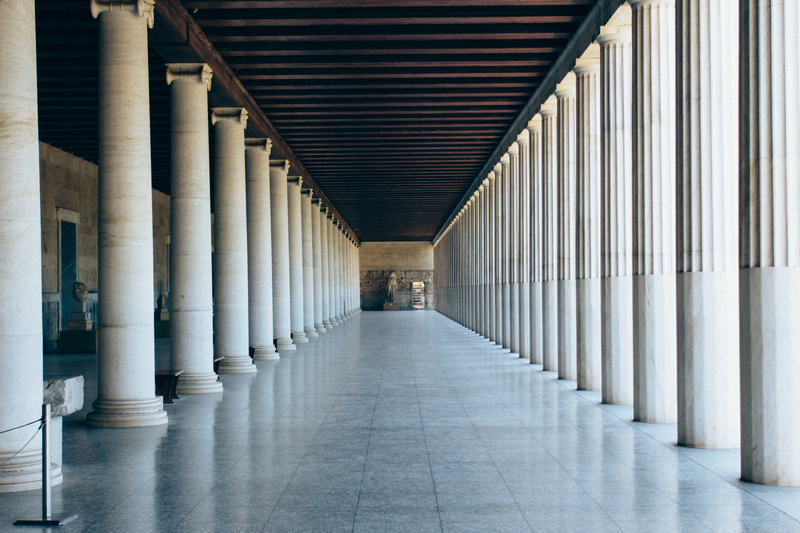 Stoa of Atallos. Rebuilt in the 20th century but was originally designed to provide shade for people to hang out and talk. Apparently the columns are smooth at the bottom to allow people to lean on them, which was encouraged here but different at temples where the fluting extended to the floor.